Feedback from last week’s trial of City Racing has been so positive that no more of its type are planned and an announcement of the first venue is expected early in the new year. London, Melbourne and Paris are among the cities in the frame to stage the event first, after a dummy run at Aintree went without a hitch. The venture is the brainchild of the Queen’s grandson, Peter Phillips, with backing from various stakeholders, including the Jockey Club. An artificial track was installed on the old motor racing circuit at Aintree, with the speed in which it could be put down and taken back up again of paramount importance. “The feedback has been amazing, incredibly positive – we knew the demonstration event was key because a lot of people doubted whether the track could go down and up within the required time,” said City Racing spokesman Johnno Spence. “We weren’t under a 48-hour deadline, but we wanted to see how long it would take, because in London, Paris or Melbourne we would only have 48 hours and we are now far more comfortable we can achieve that. 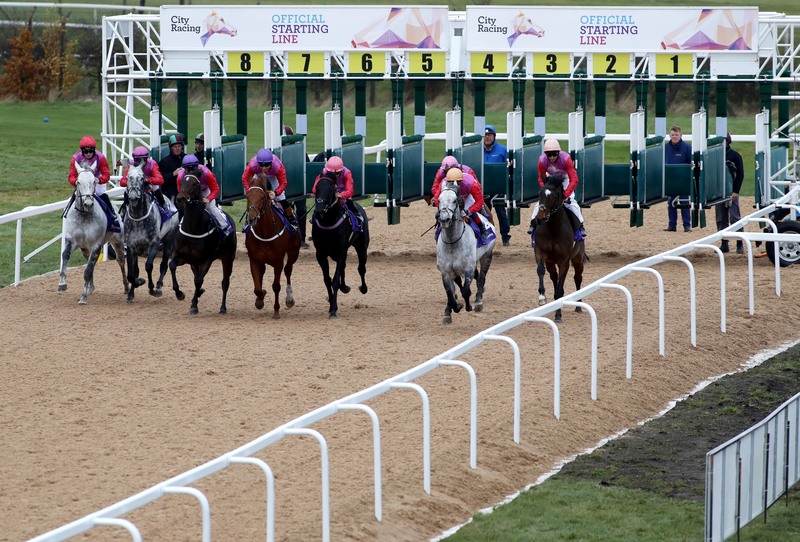 “The jockeys that took part were very surprised with how well the track rode – in the past all-weather surfaces have taken time to bed in, but all of them were incredibly supportive and excited. Spence went on: “It’s fair to say we are in talks with a number of cities. Melbourne, London and Paris are all under strong consideration and we hope to announce it early in the new year. “We’re looking at horses rated 0-90, six races over five furlongs, building up from the lowest rated to the highest. “We’re looking to attract the top jockeys from around the world – I’ve spoken to Ryan Moore and Frankie Dettori and they are very interested in taking part. “This is all about attracting more people to racing, particularly the younger generation. The ‘Twenty 20 of horse racing’ analogy has been used and that is a very good one. “City Racing can also showcase other elements of the sport, and horse welfare is paramount, obviously. “We may get a little bit of criticism along the way, but for us the welfare and public perception is critical.